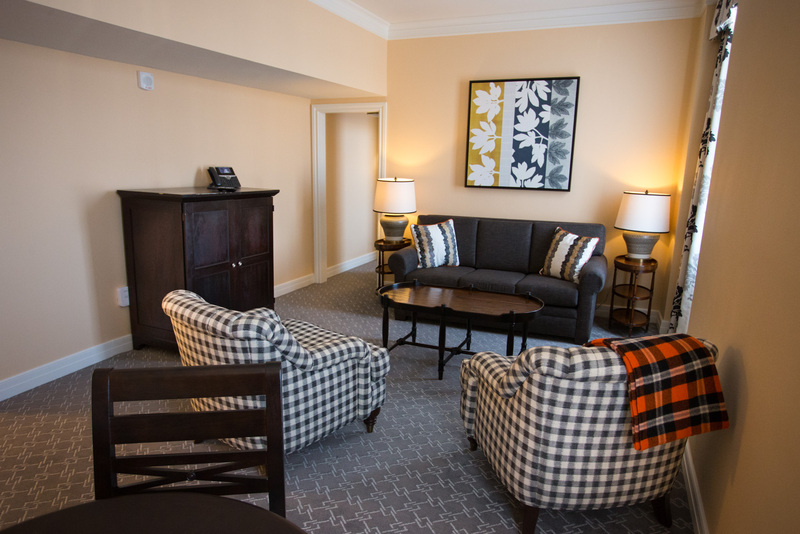 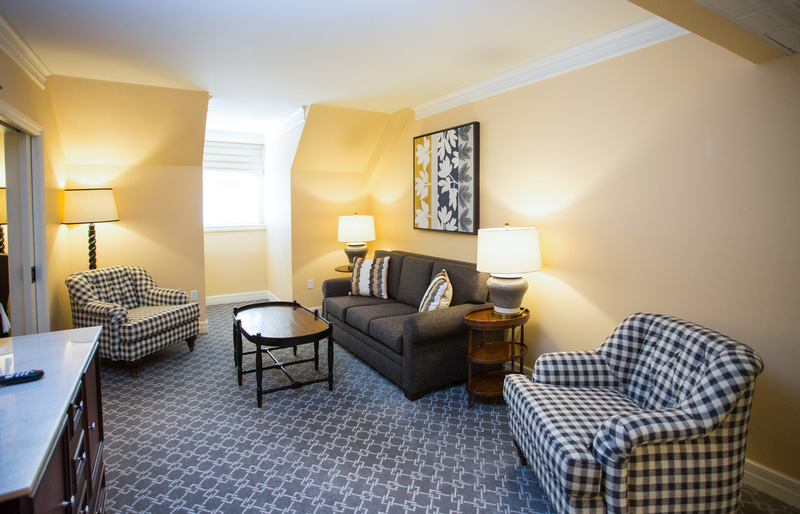 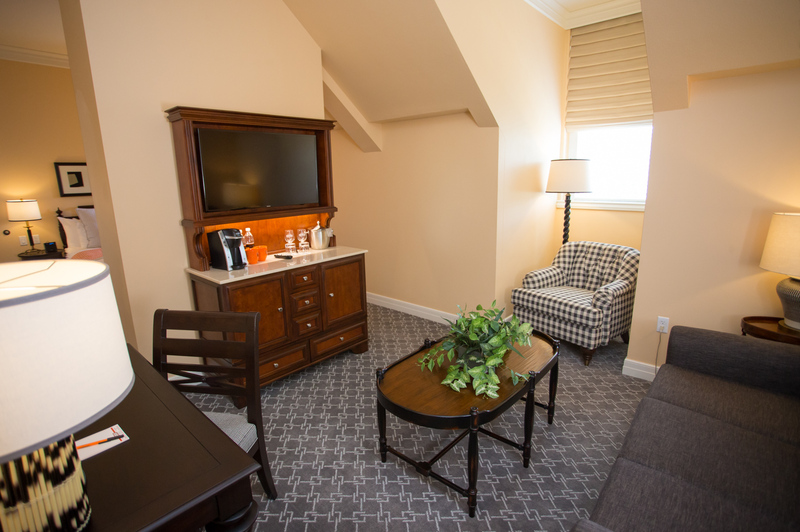 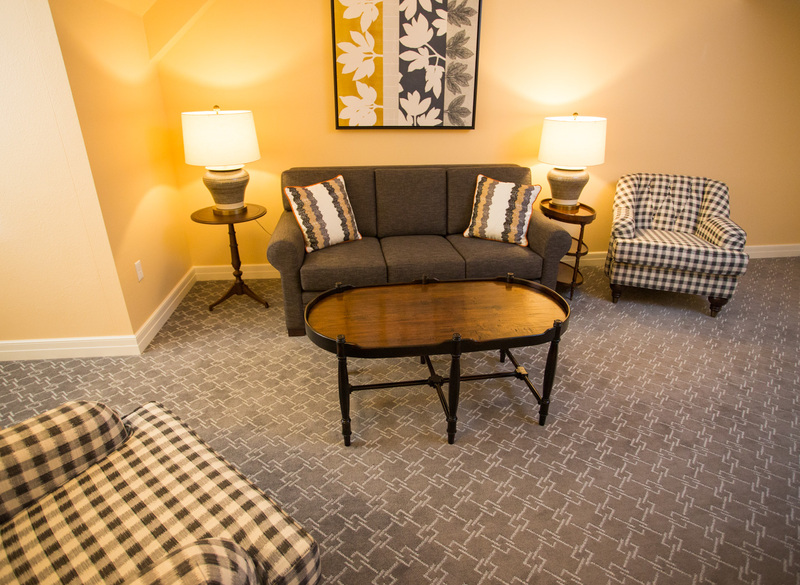 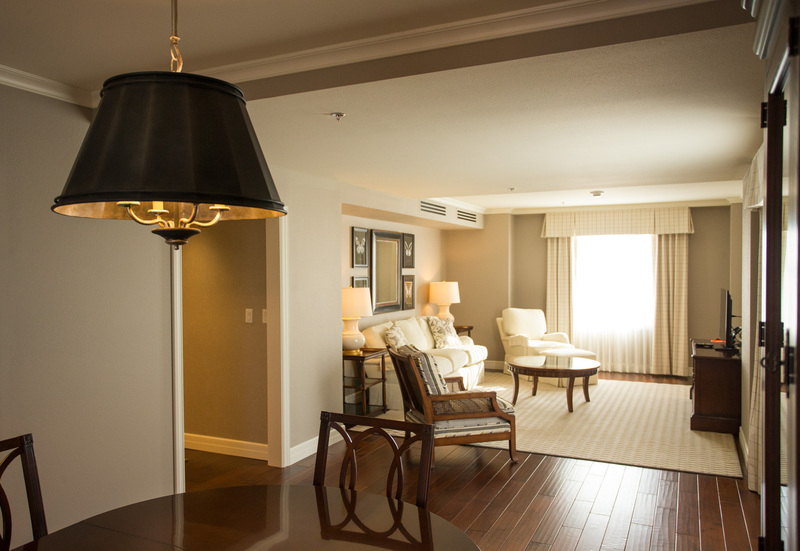 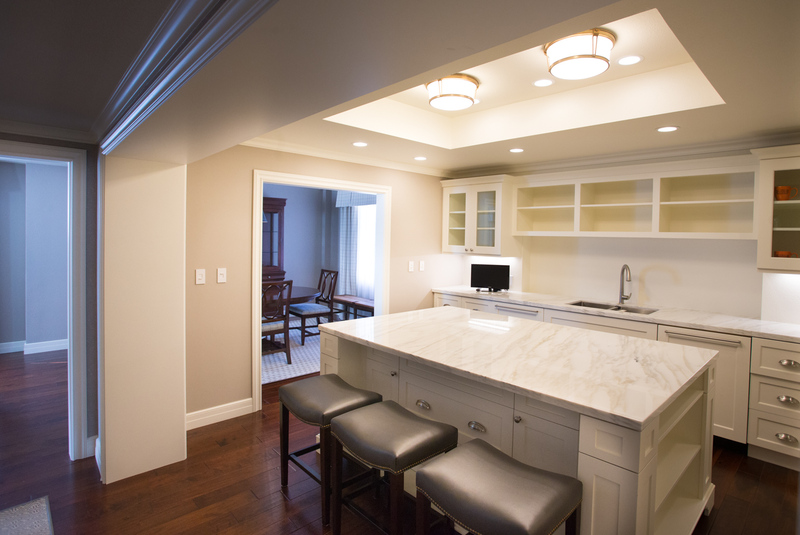 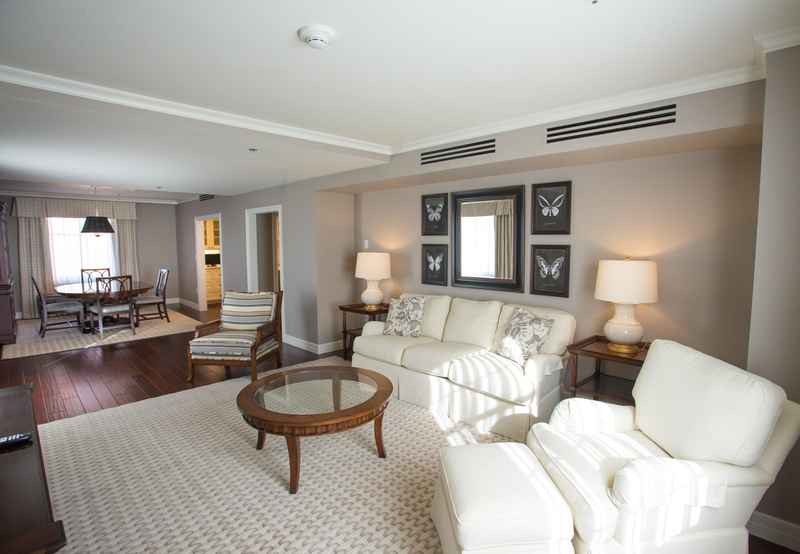 Our collection of five newly renovated suites offers the ultimate in comfort and high-tech amenities. 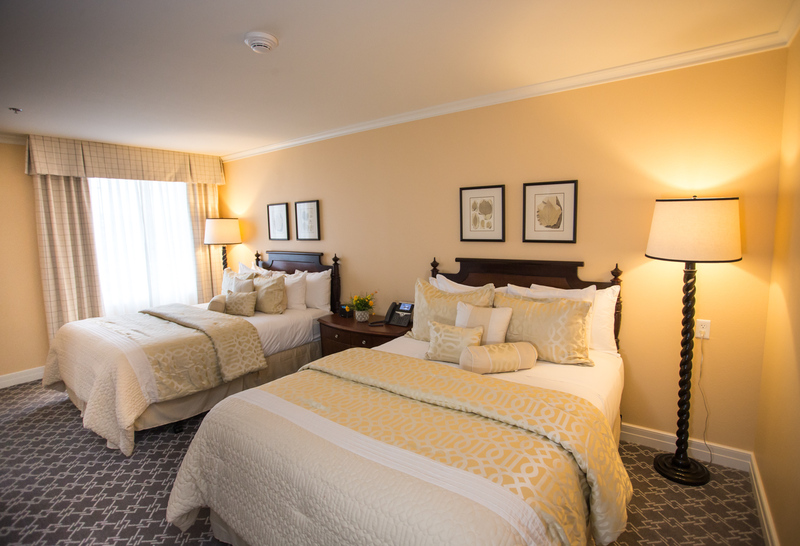 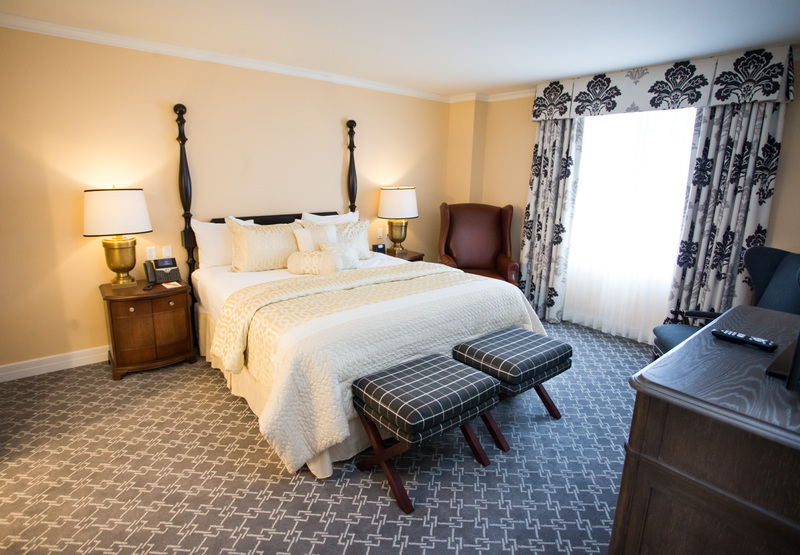 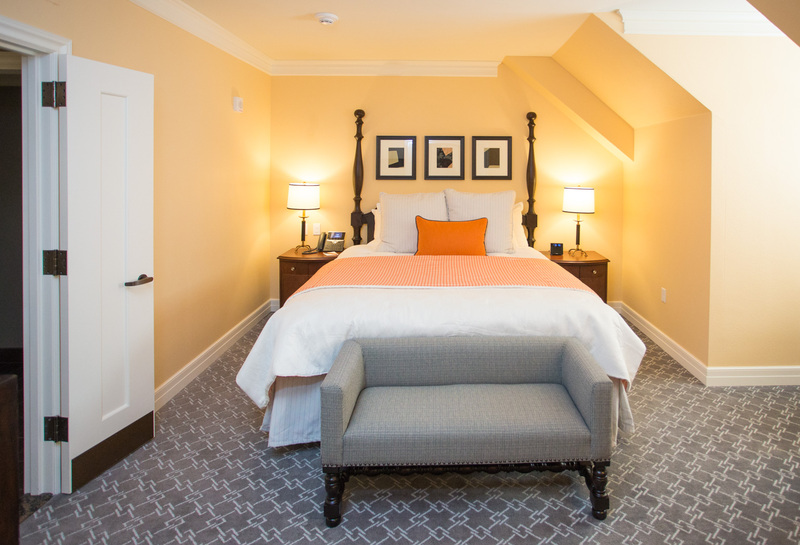 Spoil yourself in one of these luxurious suites featuring either a queen or king bed with premium bedding and down feather pillows. 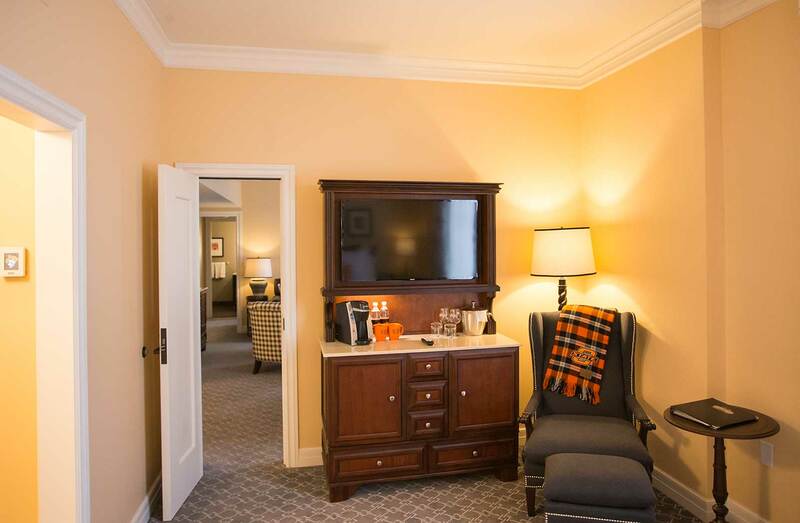 Elegantly furnished with separate areas of socializing and sleeping, our Signature, Premier Executive, Scholars and Presidential Suites have spacious work desks, custom armoires with one or two 43" Smart TVs, and iHome clock radios and docking stations. 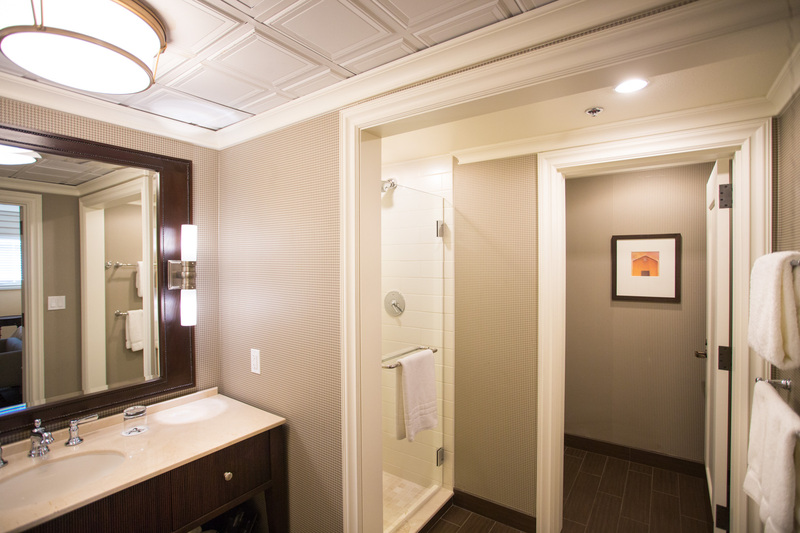 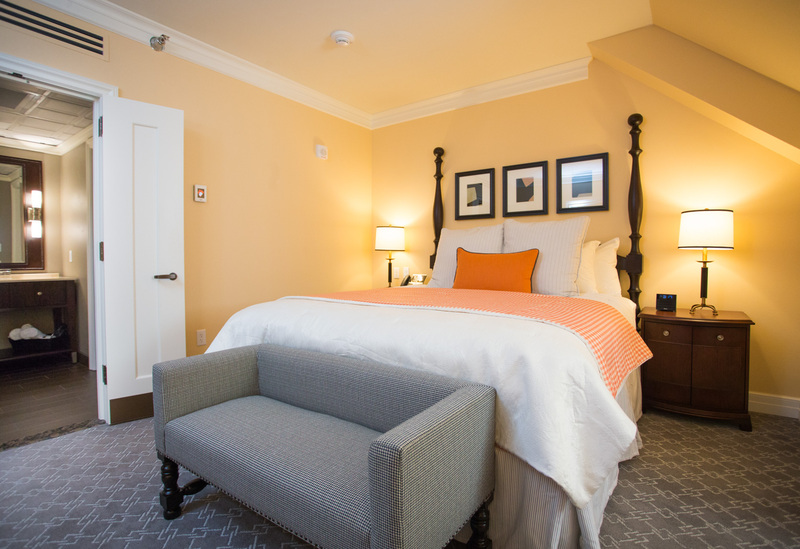 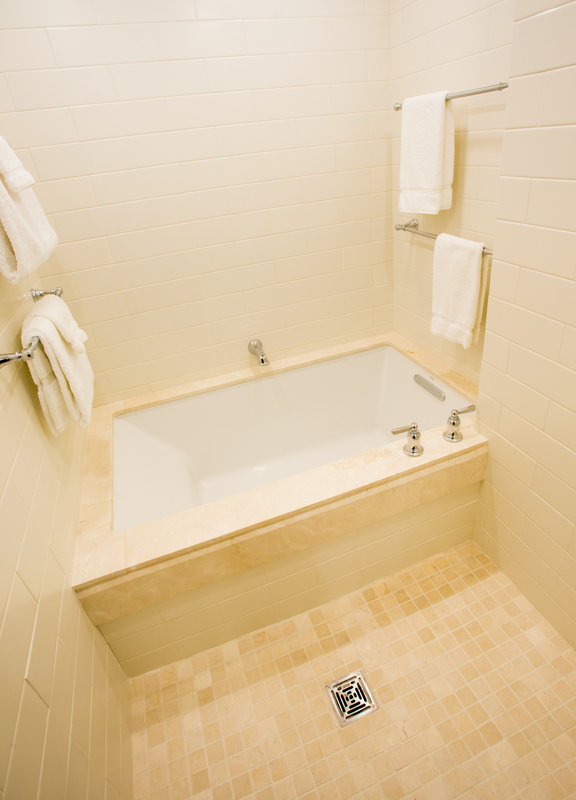 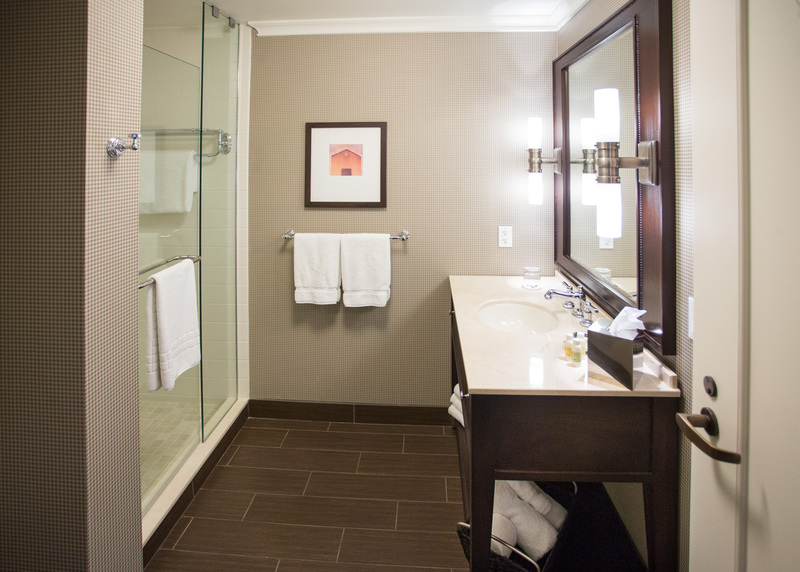 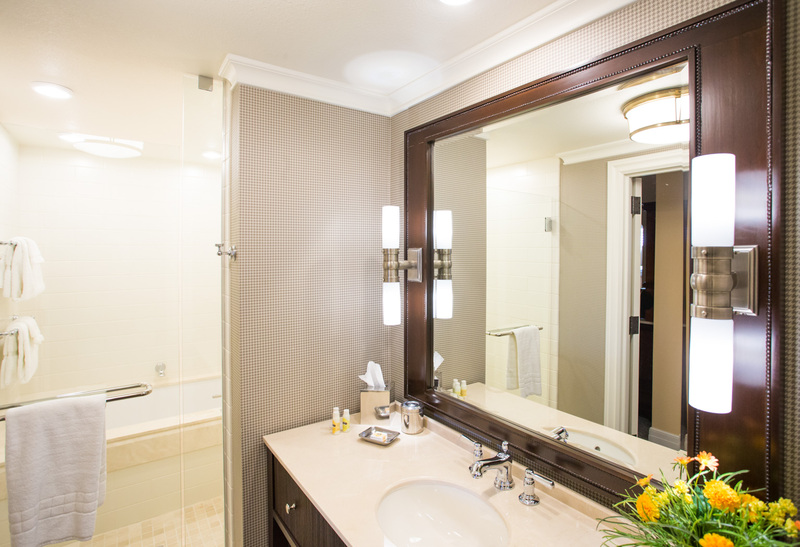 Bathrooms have luxurious Egyptian cotton robes, hair dryers and custom orange-scented bath amenities. 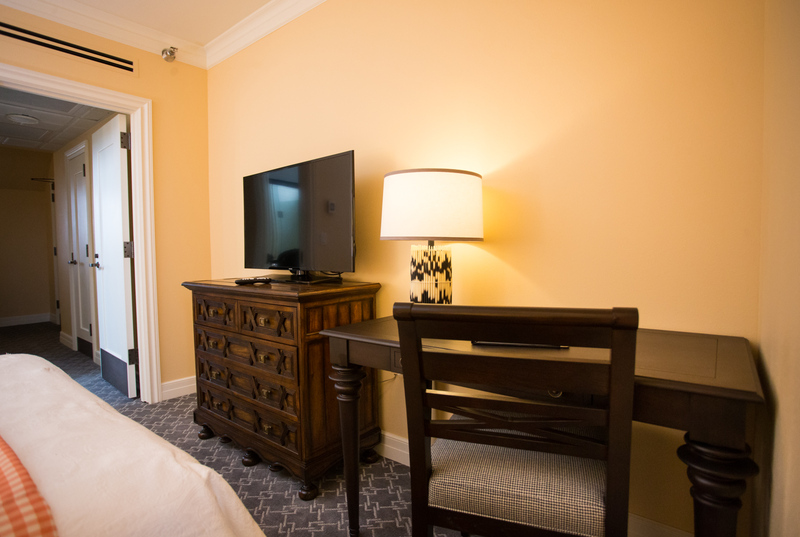 Featuring living and sleeping areas separated by a pocket door, our Premier Suite King Garden View room is furnished with a king bed, sleeper sofa and plush upholstered chairs and work desk. 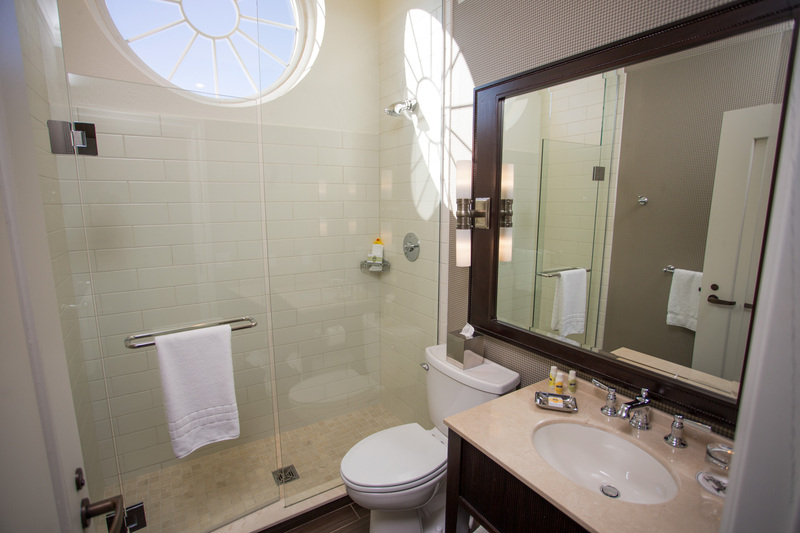 It features a large bathroom with a walk-in shower. 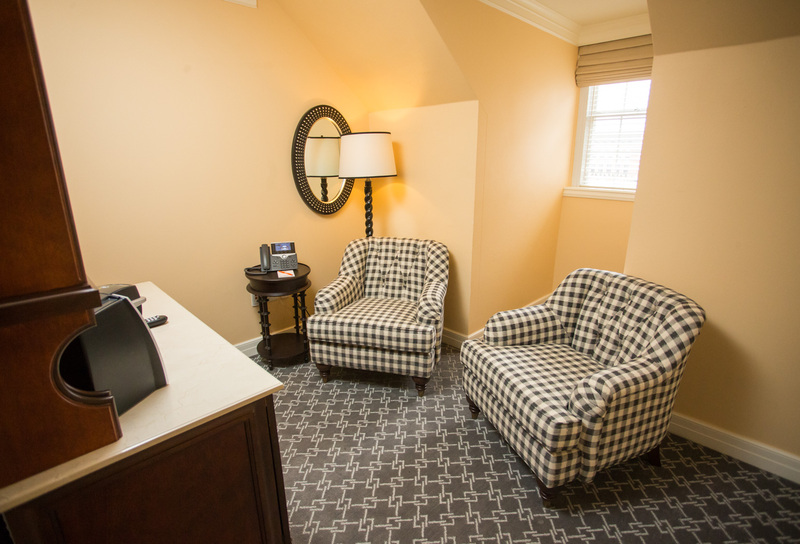 ADA-accessibility available. 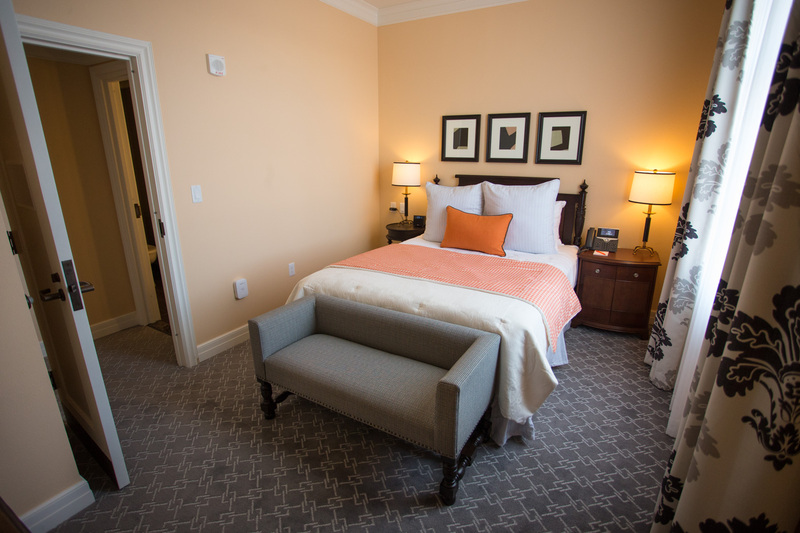 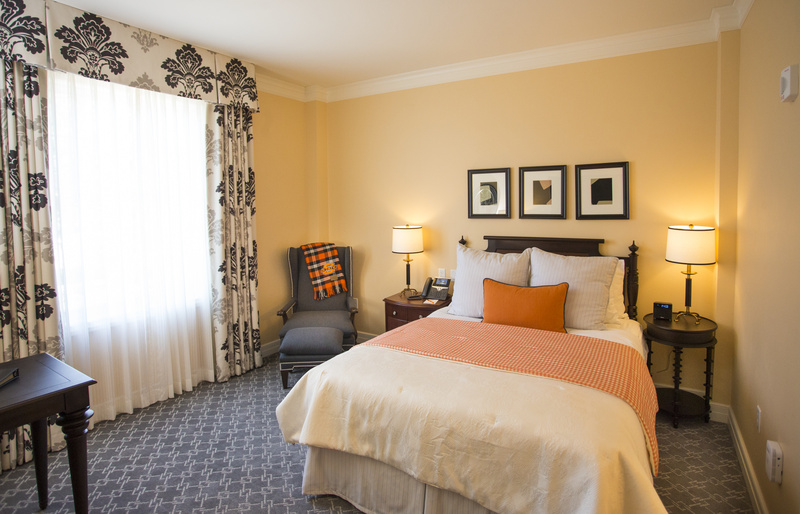 Offering beautiful views of the Library and Price Family Garden, the charming and comfortable Scholar's Suite features a separate living area with two upholstered chairs and ottomans, a private sleeping room with queen bed, and a bathroom featuring a walk-in glass shower with skylight. 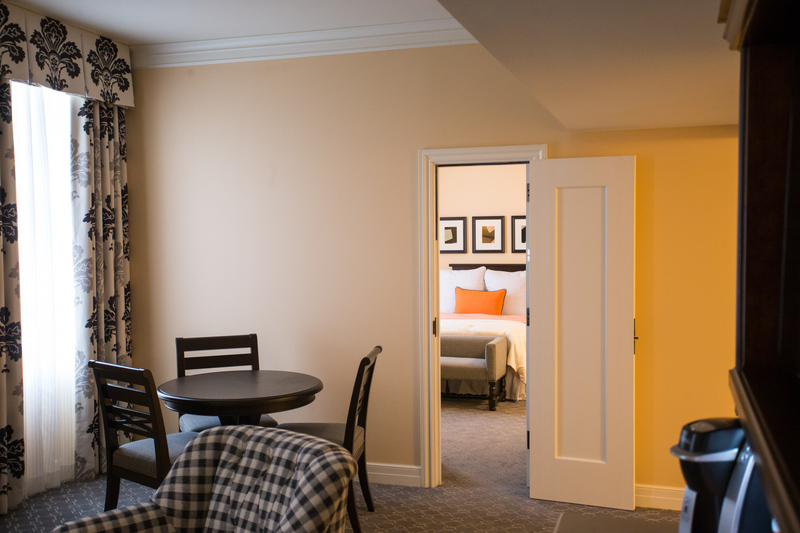 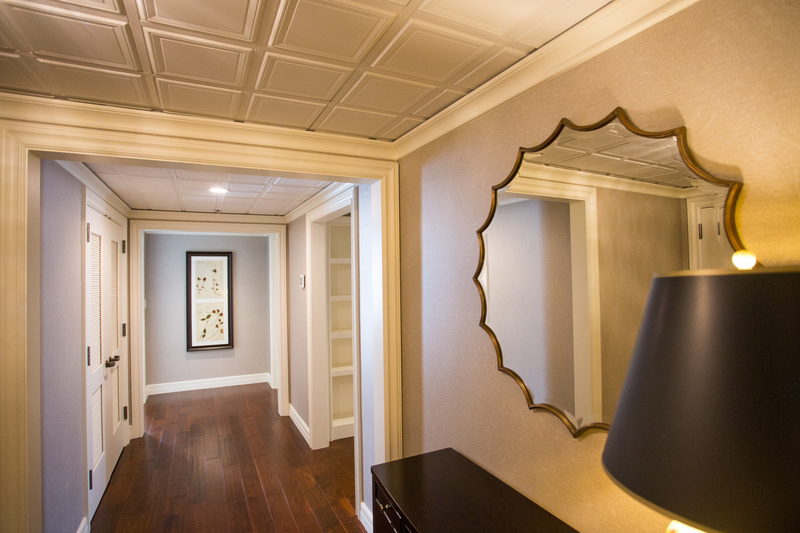 Offering the ultimate in privacy, our secluded Executive Suite was once the hotel manager's quarters and is accessed through a private keyed hallway. 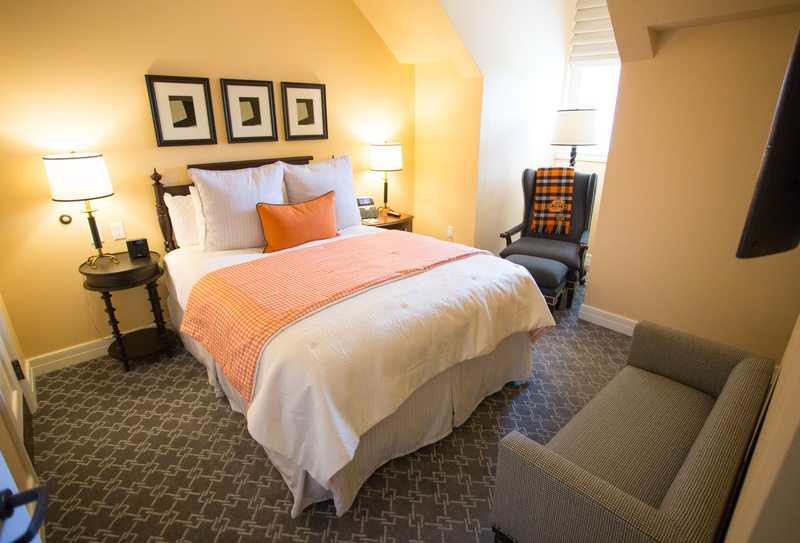 It features a bedroom with a queen bed, spacious bathroom with walk-in shower, and separate living area with a sleeper sofa, upholstered club chairs, game table and work desk. 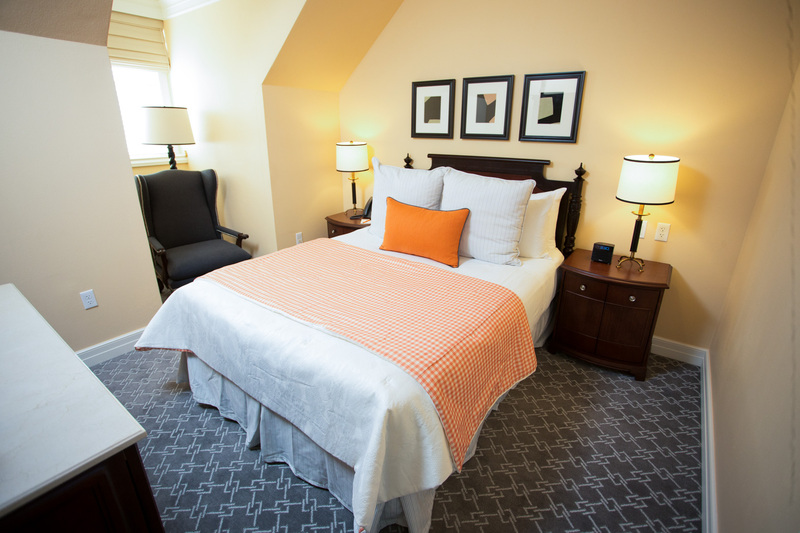 Should you require more space, this suite can seamlessly connect to a Classic Queen guest room. The crown jewel in the Atherton collection, our Presidential Suite features two bedrooms, two full bathrooms, a sitting room/study, dining room with seating for eight, living room and well-equipped kitchen. 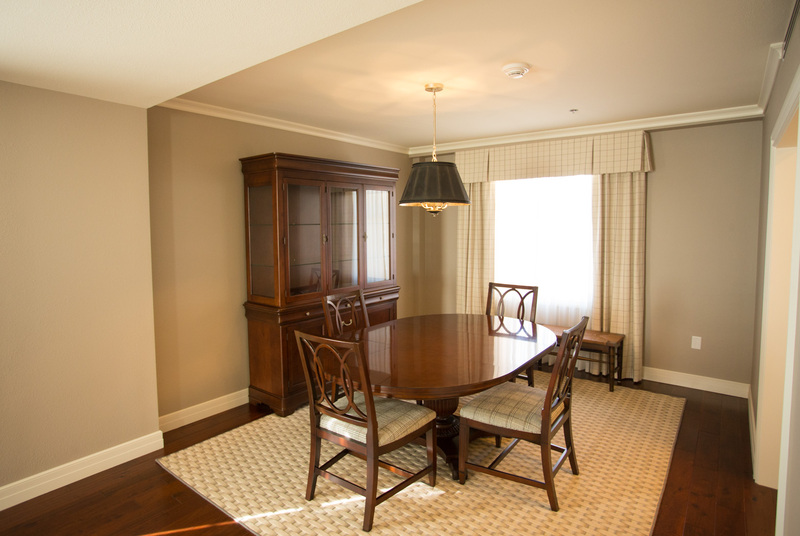 This residential style retreat offers breathtaking views of the Price Family Garden, the Library Lawn and Formal Garden. 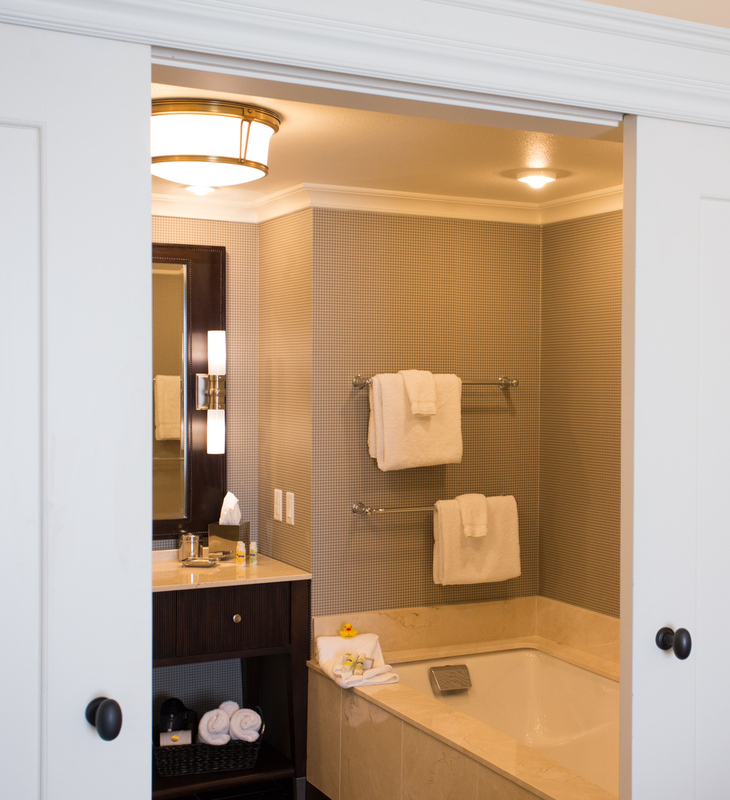 Highlights include a master bedroom with king bed and en-suite bath with large soaking tub, walk-in shower and private water closet; second bedroom with two queen beds; large kitchen with granite island and full-size appliances; and exquisitely furnished living and dining rooms. 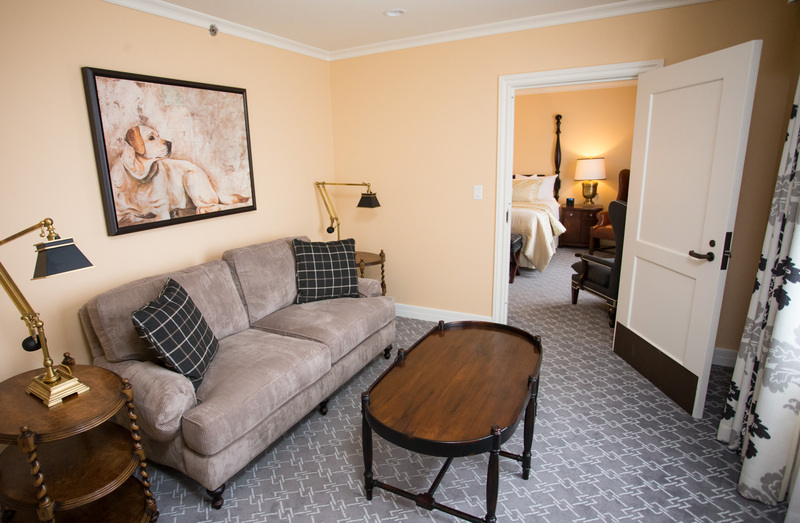 This Classic Queen is available for booking on its own, or in addition to our Executive Suite, creating an additional guest room for your suite accommodations.